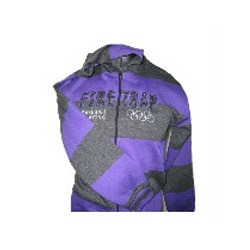 We are glad to introduce ourselves as a preeminent manufacturer and supplier of high quality Hooded Sweatshirt. All these sweatshirts are appreciated in the market for their sophisticated and casual appearances. These apparels are tailored using premium quality fabric that has a soft texture and perfect finish. Looking for Hooded Sweatshirt ?